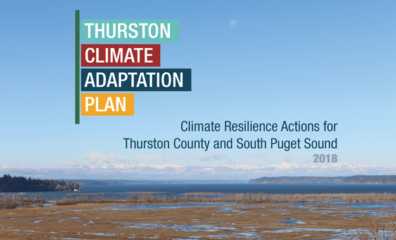 Climate Resilience Actions for Thurston County and South Puget Sound. A report assembled by the Thurston Regional Planning Council. Incentives can include expanding Thurston County’s Transfer of Development Rights (TDR) program, conservation easement funding, as well as expanding market-based approaches for ecosystem service payments or credits (e.g., for water quality, carbon sequestration and flood management). P-07: Increase organic matter content and water retention in soils within urban and agricultural settings. P-08: Increase urban agriculture and biointensive farming methods to maximize crop yields and ecosystem services. P-12: Grow woody perennial crops that help conserve water, store carbon, and provide other ecosystem services. This action — which includes planting fruit trees and other crops whose woody stems and branches don’t die off each winter — has both climate adaptation and mitigation co-benefits. Washington State Department of Health: Impacts of Climate Change on Agriculture. How Will Climate Change Impact Agriculture in Washington? 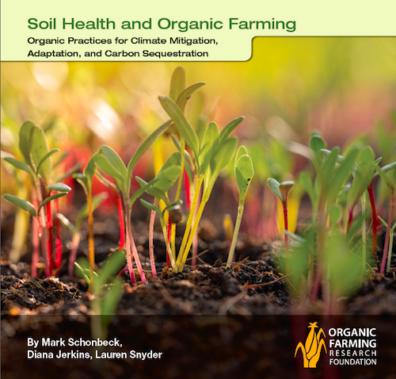 Organic Farming Research Foundation publication: New Climate Guide Evaluates Best Practices in Curbing Climate Change. Read the full report here.